We believe that Oakland can be a model for “tech done right” given its diversity, tenacity, history of social justice and proximity to Silicon Valley. Our team is building a vibrant community where innovators and entrepreneurs from every background can thrive. We aim to create a blueprint for inclusive innovation that can be activated in cities across the country. 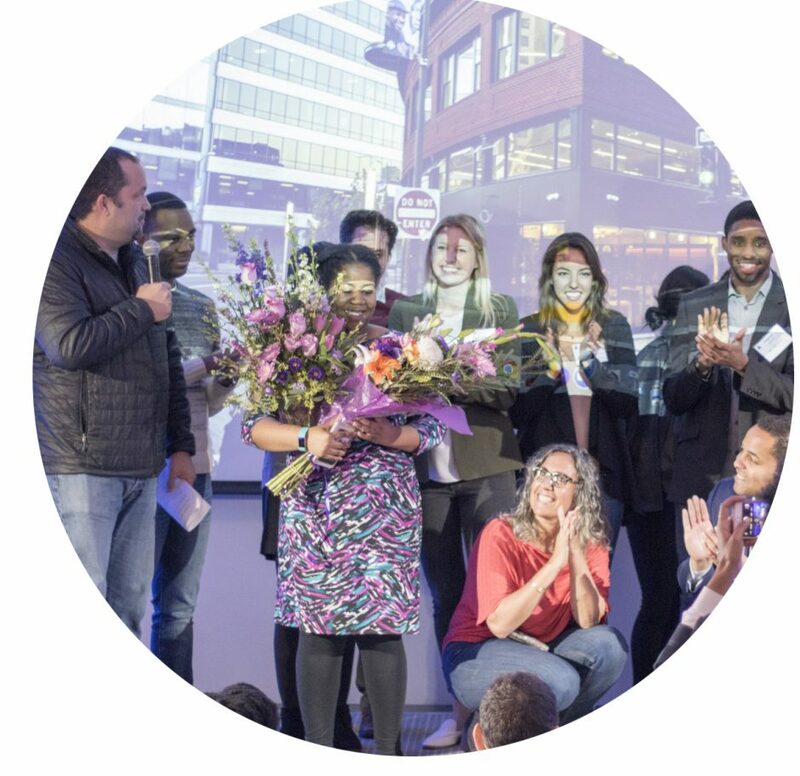 Our community engagement work rallies technologists, entrepreneurs, educators, local business leaders and policymakers to sustain diversity and inclusion in tech through an intersectional and measurable approach. We work across the fabric of our community, with a focus on tech, to foster an ecosystem where computer science education, workforce and small business development and inclusive venture capital take root and prosper. We use initiatives, events, sponsorships, and relationship-building to accomplish our various goals. In terms of using resources to address complex social issues that relate to tech diversity and inclusion, we use sponsorships and space rentals to support work/events that will help us have impact in creating access/opportunities for diverse communities in tech. TechHire Oakland is an initiative that guides underrepresented East Bay residents of color to rewarding careers in tech. Our community of training partners, mentors, and employers sets residents on the right path to high-demand, well-paying careers at the center of the innovation economy. We offer training referrals, mentoring, workshops, and connection to paid internships, apprenticeships, and jobs. This is a community partnership that is incubated by the Kapor Center. The Oakland Startup Network is a KC initiative working to empower idea to pre-seed startup founders gain access to capital, resources, and networking opportunities. By focusing on underrepresented communities of color we are able to provide resources and mentorship to make Oakland the home of tech done right. Primary activities include workshops, curated events, trainings, and bootcamps. Oakland Startup Network activities aim to demystifying entrepreneurship by helping our communities imagine themselves as as tech entrepreneurs who are building platforms with, by, and for our community. iLab Oakland is an innovation lab, a collaborative, inclusive space filled with innovators who are either from or serving underrepresented communities– all housed on the second floor of our building. The iLab provides space, networks, and programs to accelerate the growth of tech companies and nonprofits alike in Oakland, working to make Oakland the leading model of Tech done right. Our Innovation Lab, housed on the second floor of our building, provides space, networks, and programs to accelerate the growth of tech companies/nonprofits in Oakland, helping to make Oakland the leading model of inclusive tech in the nation. The iLab is a collaborative, inclusive space filled with innovators who are either from or serving underrepresented communities. Takes our ecosystem-based model for action from the local level to share with and learn from other cities throughout the nation.